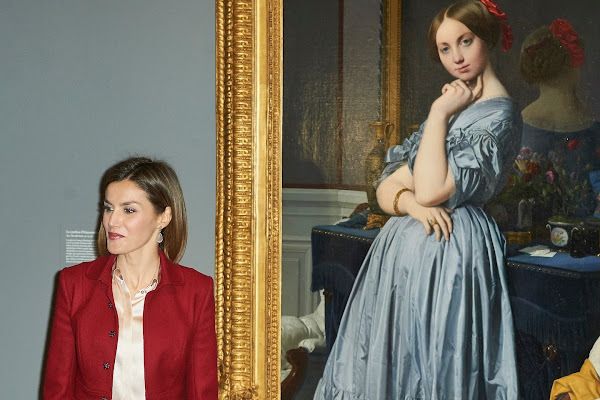 Queen Letizia of Spain attends the opening of the 'Ingres' Exhibition at Prado Museum on November 23, 2015 in Madrid. I don't care for her but I think she always look well put together. Maybe boring but it's better than flashy Maxima, she's all glitter. Nothing wrong with glitter if it suits the individual! Reine Letizia montre un engagement extraordinaire à l'art et à la culture.